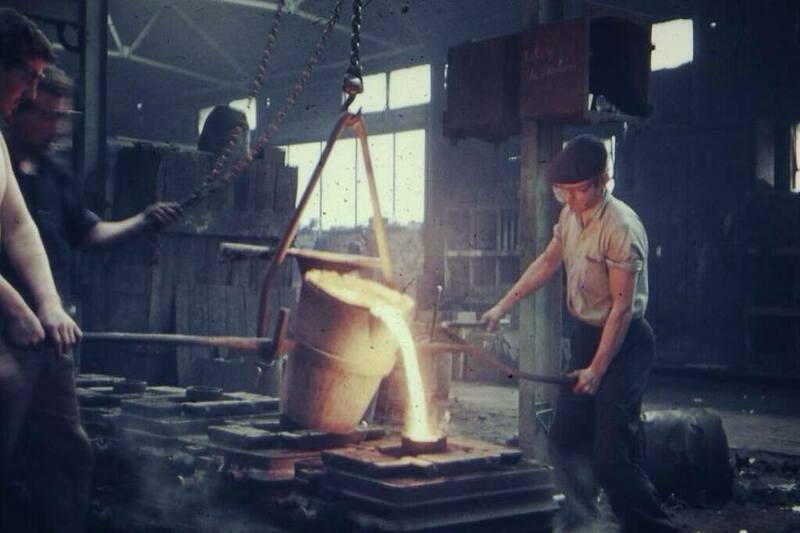 Back in the 60s, manufacturing was a tough business, and none more so than foundry work. This photo is a team casting iron at Glynwedd. I still work there now as a development engineer, and I can assure you all the health and safety standards have greatly improved.